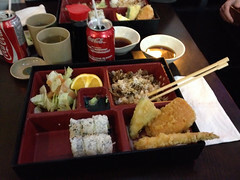 Guess what… we found another great cheap place for sushi with over 150 different meals to choose from. Are you already wondering were you can find this great place? The Fumiyoshi sushi is located on 538 West Pender Street. It is verily quite in there, which makes the services faster. It is also great for lunch, they have extra lunch items which are ready in now time and come for as low as $8.50. And of course free unlimited tea is served by every dish. 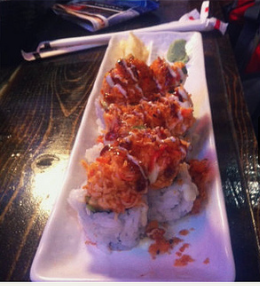 My (Alexandra) favorite is Roll Combo #2 (18pcs, Tuna, salmon ad cucumber) for $ 6.95. The Vegetarian rolls are also very good and fill you up. If you do not want to eat there, just order take out. For more information visit their website by clicking here. Another Monday, another boring week? Nah, not at INTERNeX! ALOHA FRiDAY PuB & CluB NiGHT! If you survive until the end of this week, you will be rewarded with lot’s of fun times on Friday night! Instead of our usual pub night this week, we will be having a pub and club night! But wait, how can this night get any better? 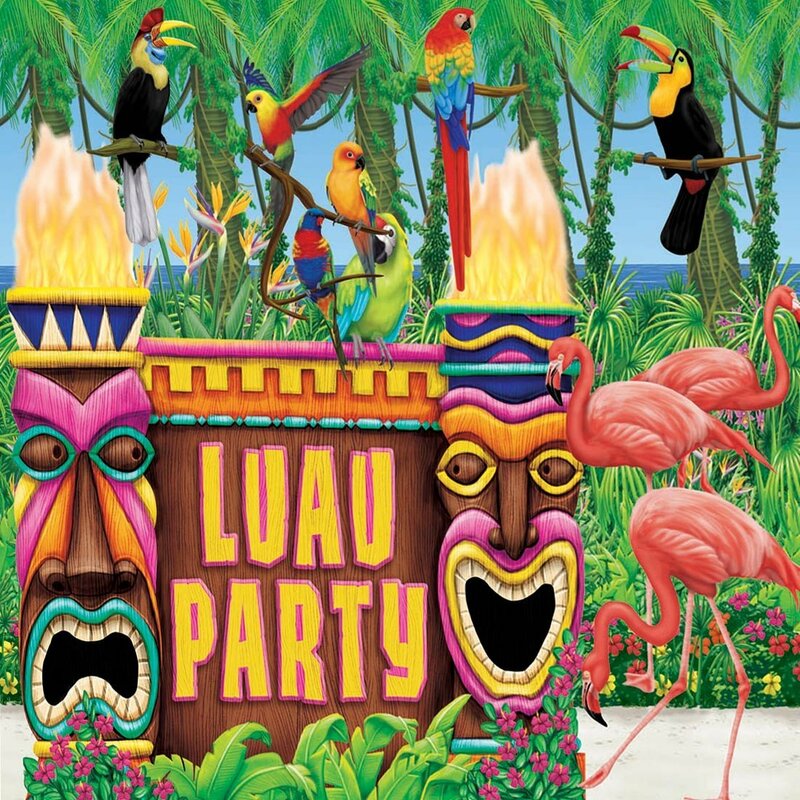 It’s going to be HAWAIIAN/TROPICAL THEME! Yes, that means you have to dress up like you are going to the BAHAMAS, baby! Bring out those shades, flip flops, grass skirts, and of course Lei (the flower necklace!). Anyone got a coconut bra? I do 😉 And after pubbing, we can head over to Venue for their special event WTF Fridays (Ladies get in FREE before 11 pm). Also, this will be my last pub and club night with you all, so it would be awesome to see you there! Best part of all? The BEST DRESSED to the theme will receive two FREE DRINKS at the pub or the club!!! Will you be the chosen one? Come join us this Friday evening 🙂 For more information, check our Facebook here! Going Out for Sushi Dinner!! For more information, keep checking our Facebook event here! Too bad we lucked out on weather last weekend and couldn’t go! But hopefully, we can reschedule it again! This outdoor Go-Kart track is the longest in Western Canada at a half mile long! Check out our Facebook event here for more information to be updated! But this offer is only between 2 pm to 3 pm…so I bet there is going to be a long line! So you think you can cross Vancouver off your list as “been there done that”? I have gathered 5 things I am sure you have not done yet and might still be a lot of fun! 1. 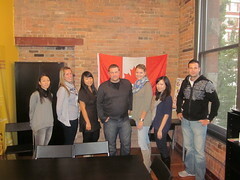 First up you can go on a tour where you get an insight into Vancouver’s darker side. Murder, prostitution, and the drug trade, it is all a part of the tour. The tour is organized by the Vancouver Police Museum’s “Sins of the City” walking tour. 2. Do you like to sing and show of your skills to people who really appreciate it? 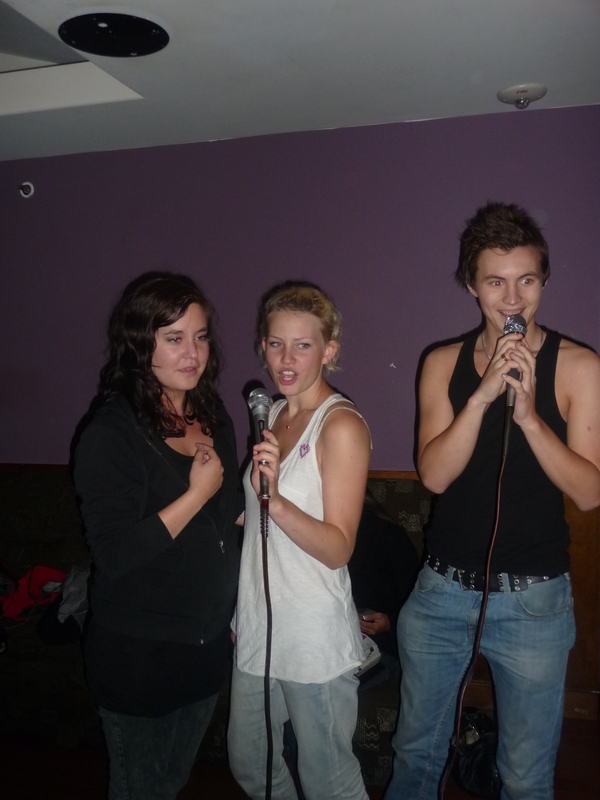 Then maybe you should try one of the many Japanese-style karaoke bar’s around Vancouver. 3. With summer knocking at the door it is time to get into that wonderful nature and experience “the real Canada”. 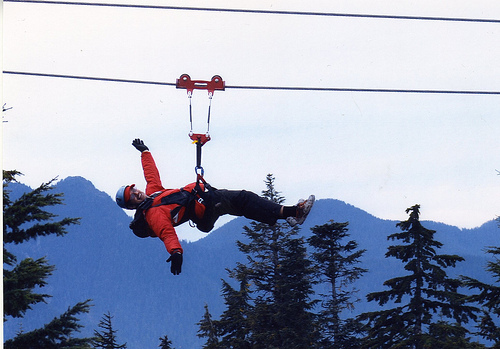 One way is to go hike, another one is the Zipline between the mountains at Grouse Mountain. With a top speed of 80 kilometres per hour it is sure to get your adrenaline up. 4. Have you always dreamt of mastering a sword? Then you are definitely in the right place! Learn how to master sword arts such as the rapier, side sword, sword and shield, and long sword at Academie Duello. 5. It is dificult not to fall in love with Sushi while living in Vancouver, but the Japanese food and drink culture has much more to offer. Sample three different types of locally handcrafted sake at Osake on Granville Island. There you go, a few tips for those of you, who are looking for a different Vancouver experience.